On April 17, 2013, Elizabeth Palmer turned 100 years old! The World Office celebrates this incredible woman and we are proud to be such an important part of her legacy. The heritage of her vision and actions which saw the World YWCA become one of the most respected women’s organisations and highly influential in setting global standards on the status of women, remain an example for generations of women and girls to come. To mark this special birthday and in honour of her incredible leadership of the movement the World YWCA Board is establishing the Elizabeth Palmer Fund. As a named fund it will provide lifelong recognition of Ms Palmer within the World YWCA Endowment Fund, the interest of which is used to advance the purpose of the World YWCA to develop the leadership and collective power of women and girls around the world to achieve justice, peace, health, human dignity, freedom and a sustainable environment for all people. Just to thank each one of you for joining me, Dr Deborah Thomas-Austin, World YWCA President, Board, staff and all our volunteers on this very SPECIAL Day. We are celebrating Elizabeth Palmer’s 100th Birthday. She is my mentor, my source of inspiration and my guide. When I face the critical moment for making a decision as General Secretary today, I often ask myself – “how did Elizabeth Palmer respond to a similar challenge in the 50s, the 60s, and 70s when we did not have sophisticated communication tools like internet, which enables us to reach of for support at a click?”. In the last few years, Elizabeth Palmer hosted me in her house, prepared breakfast for the two of us, and chaired a seminar about leadership and the history of the YWCA. She has been on her feet pushing women’s issues during the founding of the United Nations; she was there lobbying for adoption of CEDAW and UNIFEM. Today we celebrate the establishment of UN Women. Elizabeth remains and continues to be a global leader with a vision, and yet grounded in the power, voice and service of individual women. This is the inspiration through which the World YWCA has established the Elizabeth Palmer Fund. A simple way of bringing such depth of wisdom and experiences to millions of women and girls around the world for generations to come. I invite you to be part of this incredible journey with us, support the effort as we celebrate a great woman leader of our time. “Elizabeth Palmer was an extraordinary mentor and support to the YWCA of Fiji in its fledgling years. She was always there for Ruth Lechte and me and later Amelia Rokotuivuna as we worked hard to develop an organisation that truly suited the young people of Fiji as the country worked towards independence. When we hit problem areas she was on the end of the phone talking us through it all. When there was opposition she stood solidly with us. She opened her home in the old town of Geneva to us, and later her lovely apartment overlooking Lake Geneva. Elizabeth was a superb cook and we would sit in the kitchen discussing world affairs as she cooked up a storm…..quiches, pancakes, stews, scones – always delicious, always beautifully presented. We loved our visits to Geneva and I know that Ruth would want to be adding more stories of those times if she were still with us. Which of course she is in spirit. It is with great pleasure and the best of wishes that I send my greatest birthday greetings to one of the long-time leaders in my life. I will always remember Elizabeth Palmer as a great and magnificent person, whom I had the honour to know and to receive her marvellous touch. May she have a wonderful time celebrating her birthday today. I remember being totally overawed when I first started with the World YWCA to find myself in a discussion group with you, but – as ever – you gave everyone the space and the confidence to speak out and to contribute our ideas and helped us move beyond our differences to find common goals and values. And this magic was to be repeated every time I had the honour of working with you over the years. Your wisdom and leadership has been a model to us all and we wish you all the best for this special birthday and for many happy returns. I grew up knowing her as Lib, so I’ll sit at my computer and say “HAPPTY BIRTHDAY LIB!!!!!! !” I hope it is a hopping hundredth! “Happy Birthday to you, Elizabeth. And thank you for continuing to help us strengthen the YWCA movement by maintaining a strong membership movement. Each time you and I have a discussion, it is about membership as the key core of why the YWCA has been effective in so many locations. Without members, the YWCA becomes another social agency but without the deep impact that involving our members to tackle deep social problems can have. “We just admire the way you have walked and paths you have gone through and celebrate the bold and brave women of YWCA! One of our grand old YWCA ladies,Dr Eira Paunu will be 105 in May, may you both be richly blessed! 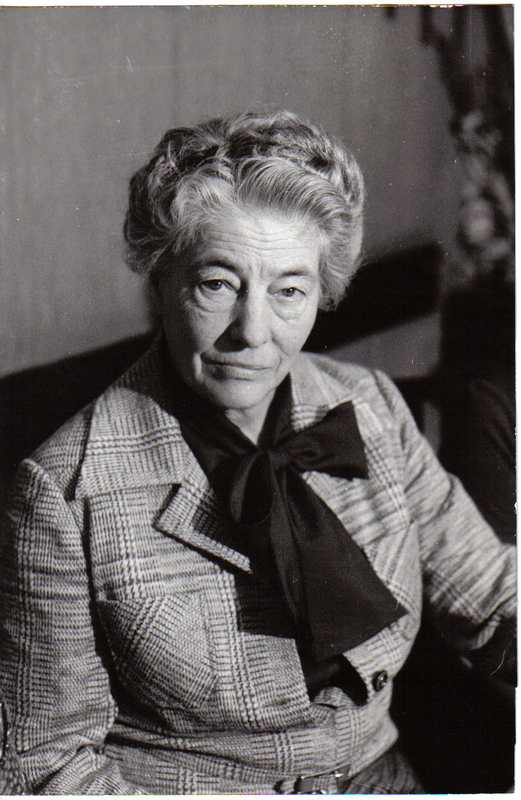 Elizabeth Palmer was the great international leader in Geneva when I came into the Swedish national leadership in the 1970s. How really great you are I did not realise until I participated in the UN Women’s Conference and NGO forum in Copenhagen 1980. Your leadership, Elizabeth, among the NGOs made me so proud to be a YWCA-leader and from that meeting you became my role model. To walk into Westminster Abbey in 1994 next to Elizabeth Palmer was so great, and to realise how much of the YWCA development into a real global world movement we all owe to Elizabeth was really thrilling. We once again wish Ms. Palmer a Happy Birthday and encourage you to donate to the Elizabeth Palmer Fund so that we may continue to be a bold, unified and strong movement, never resting until women all over the world can live a life free of violence and filled with choice and equal opportunity. An excellent post!!! Happy Birthday to a remarkable women.